Today we are looking at a lovely clean and modern portfolio theme named Alpha, created by Krown Themes. Alpha is designed to be used by creatives – freelancers or agencies for web and graphic design are the target audience, it has a really nice portfolio layout with a unique way of loading portfolio items using a mouse wheel controlled slider and Ajax to load items up with no page refresh. Portfolio items and Page layouts are controlled using the Visual Composer so it’s easy for you to make changes the the look and layout of the theme and all the elements have been nicely styled to fit in with the look of the theme. Unique portfolio slider – The theme’s main slider was created specifically for this project, involving unique animations which cannot be found elsewhere. Highly optimized, it works well with scroll and touch interaction, presenting your content in an amazing way! AJAX loading – Portfolio projects are loading via AJAX, which means that the portfolio page will never refresh itself. Everything is loaded as fast as possible inside the same window, with amazing effects. Good SEO – The theme makes great use of clean and well structured code, heading tags, schema scopes and much more. Everything is well put together in order to provide quality SEO pages. Retina Ready – The theme is not just loading large images for every user, it actually has a smart algorithm choosing the perfect size for each device. Images in the theme will always look sharp, but they will never be larger in size than they should, making the theme not just good looking, but blazing fast. Highly Responsive – Alpha is a mobile first theme, well tested on all kinds of devices. We tried to provide the best user experience no matter the size of the screen and we think that we succeeded in doing so! Highly Customizable – The entire look of the theme can be easily changed through the options provided with the Theme Customizer which allows you to edit the theme and preview your changes in real time. You can change colors, fonts & a lot of options in the layout. Unique Blog – The blog is also impressive in this theme, presented in the way of a clean grid with classical inner post design, focusing entirely on great content! Interactive Map – You can have as many map pages as you want and in each one you can have a certain location, pin image and contact info. 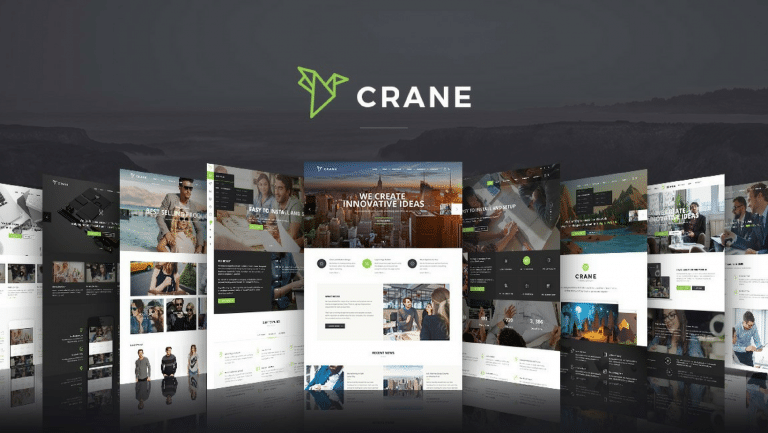 Page Builder – The theme comes with an awesome page builder, in the form of the Visual Composer Plugin, under a slightly modified version for full compatibility with the theme’s concept. Create your own layouts in no-time, using an incredibly easy drag & drop composer. Translation Ready (Multilingual) – A .pot file is available, making the theme easy to translate into your own language. WPML support is already included, so you can easily have a theme in multiple languages if you wish. 7 Layered PSD Files – A lot of PSD files are available in the download. With them, you can easily change layouts and stuff for presenting the perfect website for your clients! XML Import File Available – The XML import file is available and can be used to download the demo content from the online preview(without the copyrighted images). Once you upload and activate the theme you will need to also then add some plugins – Visual Composer, Contact Form7, Krown Portfolio and oAuth Twitter feed for Developers to add the required functionality to the theme. Visual Composer and the Krown Portfolio are required as these control your portfolio items post type and the page layouts. Finally, to finish setting up your theme you need to visit Settings > Reading and set the front page to portfolio and the posts page to Journal. The theme uses the WordPress Customizer to handle some site-wide styling options, from here you can upload header and footer logos, nav menu background color, Main site color, Change around the Typography using Google fonts and turn off the Ajax effects. The theme includes a very basic options panel also, from here you can add Analytics code, Custom CSS and view the changelog. You can alter how your portfolio items display individually, visit the “Portfolio” link in your WordPress admin menu and then select an item and you will see the Visual Composer load up with the page layout – from here you can change the layout or edit the text which has been included with the demo content. By clicking the “+” icon at the top of this page, it will open up the “Add Element” box where you can choose from a large number of page elements to add. From here you can add widgets, text boxes, recent posts lists, tabs, accordions and so on. In the right side of this page you can add your featured image, it also allows you to define a second featured image for mobile devices. Youcan also pick a background style for the image – light or dark. This is defintely a theme you should view the demo of here, Alpha has a unique way of displaying your portfolio items – When you load up the homepage and use your mouse wheel to scroll or click on the page, the next items slides in from the right hand side, you can use the mouse wheel in the opposite direction to go back to the previous page. Clicking the “View Project” link will then open up that portfolio item’s page displaying all the content created with Visual Composer underneath it. The blog section has a nice clean and simple layout which shows the post’s featured image when the item is hovered over, clicking a post title loads up the blog post using Ajax, so no page refresh. You can see these in action on the elements page of the demo site. The contact page is also really well designed with a large Google map at the top and contact form underneath. Price of the Alpha theme is $49 with 6 months support and updates, extend it to 12 months for an extra $14.70. The theme documentation and support is provided via their own website area located here. This is a lovely looking theme – perfectly designed for people to show off their portfolio of work, the slider effect looks great and functions well and the Ajax loading of pages is a nice touch, making everything feel very slick. The theme setup was extremely easy to do – using a simple XML file which loads out all the content for your portfolio items and pages gives you a great starting point for customizing it for your own site. The theme options panel felt like it was really needed – I would actually advise them to remove this, it only really serves to let you add Analytics and custom CSS – Analytics should really be added with a plugin and you can build the custom CSS part into the Customizer which they already use. 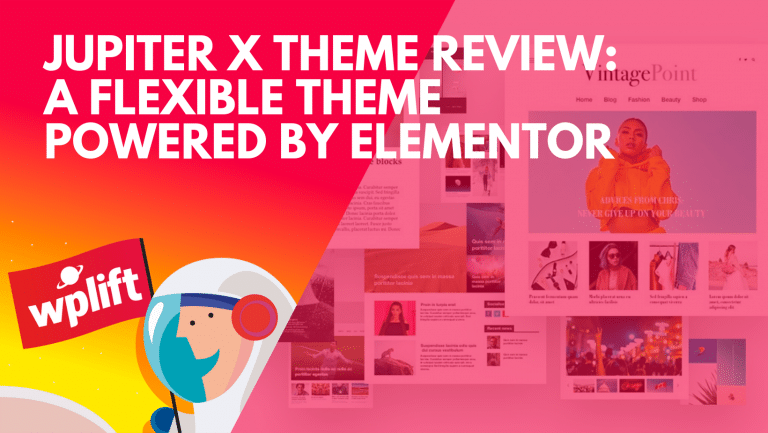 I recommend you check out the theme demo to see how the theme functions as this gives a better feel than viewing screen shots – It all looks very nice with good element styling to compliment the Visual Composer. This is very valuable information,i read our full content really so happy and get new energy after refer that post.It is very helpful for me.